Product prices and availability are accurate as of 2019-04-18 05:47:04 EDT and are subject to change. Any price and availability information displayed on http://www.amazon.com/ at the time of purchase will apply to the purchase of this product. Revolutionary Hydro-remote Control System - the only overhead shower system that allows you to turn on water without instantly getting wet. 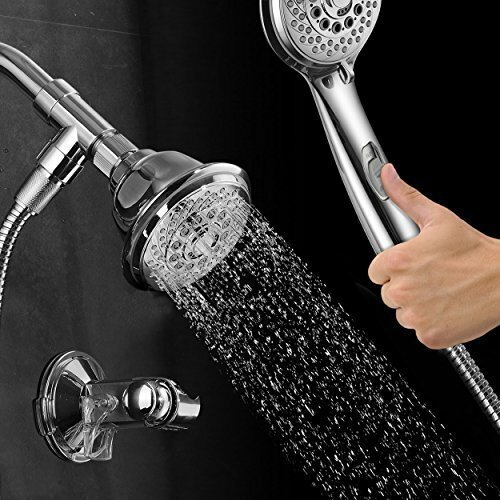 Enjoy hands-free convenience of overhead shower head and mobility of a handheld shower without having to reach for diverter switch! 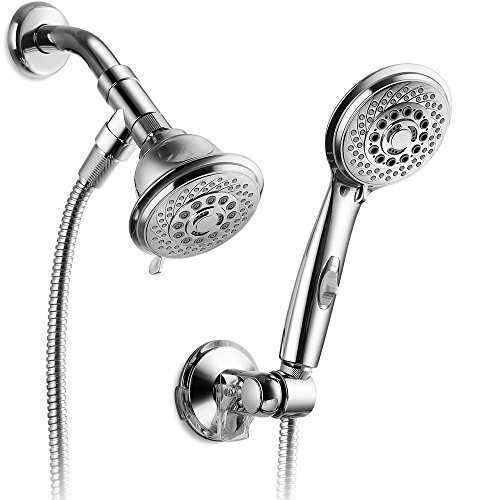 Switch water from one shower to the other by simply pushing the Hydro-remote Control Switch located on the hand shower handle. 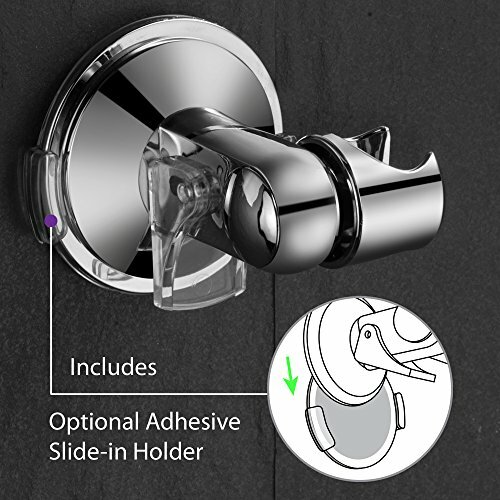 The set includes Angle-adjustable Go-anywhere Hand Shower Bracket that mounts instantly with suction or adhesive on any shower wall, doors or bathtub surface. 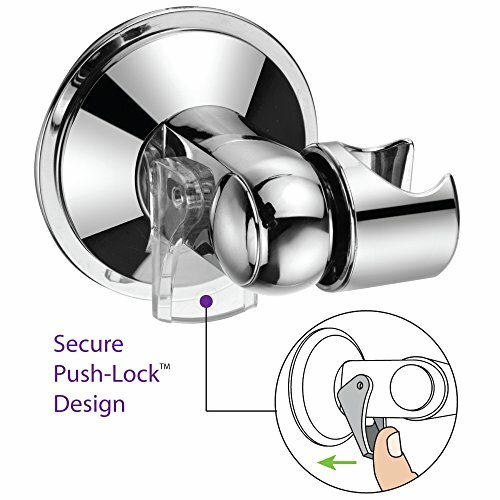 So you can keep your Hydro-remote hand shower always within instant reach for the ultimate convenience and mobility.